I was raised in blessed circumstances. My father was a school teacher, and my mother worked part time to help out financially. I was born into a great family heritage that I was taught to love and honor. 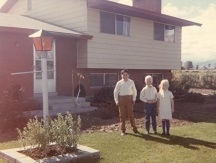 We had a nice three bedroom home with a yard big enough to give us something to do when we complained of boredom. We certainly were not rich, but we always had what we needed. There were nice clothes and always food on the table. Some of the food was the result of our own labors and the canning season. I never went to bed hungry or without clean clothes to put on the next day. Our home was nice and we each had our responsibilities to help out around the home to keep it neat and clean. I knew growing up that we didn't have a lot of money, but we had enough. What I did have was parents who loved to be with their children. We spent a lot of time together as a family. I had a parent who read to me every night and who helped me feel there was something special about spending time with me. I was taught the Gospel during Family Home Evenings, casual discussions, and by example. When others teased or made fun, my sanctuary was my home. It was a place of peace, security, and love. It was a place of learning and growing. It was a home. As I grew up, my parents would share stories of their days as children. There were the usual stories about "walking to school through snow drifts taller than a house" and such, but more life affecting were the stories of poverty, mean spiritedness, and determination that would be shared on occasion. Those stories, along with my own experiences as a labeled child, developed in me attitudes and characteristics that have moved me through my own life. After their love for each other, my parents' love of the gospel was perhaps their greatest gift to us as children. I grew to understand that I was a child of God, Jesus was my Savior, and Joseph Smith was a Prophet. 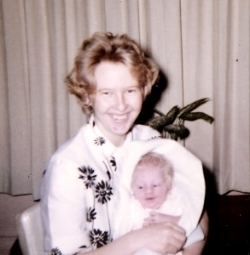 Even through the pains and sorrows of growing up in an imperfect world, I always knew my parents loved me, and thus I understood the love of a Father and Mother in Heaven. As I grew, so did my understanding. It was a fairly naive young man who left on a mission to New Zealand. Here, the lessons of life would be capsulized into a two-year micro experience. This is where the words from the book of James, the brother of the Lord, became meaningful and purposeful. While many people lived much the same way I had lived growing up, there were eye-opening experiences that sharpened the lessons learned and removed much of the naivety of youth. This process developed in me a deep love and appreciation---first, to the Father of us all, second, to the family who raised me, and third, to the people I served and grew to love. "Hath not God chosen the poor of this world rich in the faith, and heirs of the kingdom which he hath promised to them that love him?" (James 2:5). I learned the truth of this verse the first few days I was in New Zealand. Missionaries in some countries learn it within the first few minutes. My heart was touched as I visited the homes of members of the Church. Some were rich monetarily; some were poor. Some were rich in family relationships; some were poor. However, most had the unity of a testimony of the gospel. This hope for unity was often disrupted by those who did not understand the workings of the Lord. They were of the same heart as the Zoramites who allowed the poor to build the sanctuary but not worship in it. (Alma 31-32) It was this same disease of the heart that resulted in the Saints being driven from Independence (D&C 105). It is the reason why Zion escapes us even today. Sadly, we live in a world where individual children of our Father in Heaven are placed neatly in categories. There are the rich and poor, male and female, bond and free, black, white, brown, or whatever. There are school drop outs and PhD's, the right clothes, the right style, and the right personality. Some are labeled academic, some athletic, some just different. Everywhere we look, there is a nice little cubicle for each of us to fit into. Often if a person doesn't fit into our cubicle with us, they are beneath us and not worthy of our association. Some mock and make fun. The rich look down upon the poor, and the poor accuse the rich of unrighteousness. Though race shouldn't matter, sadly to some, it still does. Clothes are clothes, and education still alludes most people. Many a child is hurt by the words of another---the same for many adults. Many are filled with pride and a false sense of self esteem. All of us need to repent, and all need to catch the true vision of Zion. The only aristocracy that the Lord is worried about is that of righteousness. Did not Nephi declare that "the Lord esteemeth all flesh in one; [but that] he that is righteous is favored of God" (1 Nephi 17:35). The Savior's life was a demonstration of how we are to love and respect others. From His Sermon on the Mount to His death on the cross, Jesus taught love was the foundation of a righteous life. Love of our Heavenly Father and His Son first, and love of our "neighbor" second. This love must be expressed in how we treat those we come in contact with and how we live our lives. 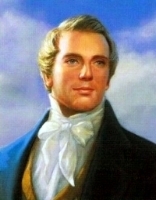 The Prophet Joseph Smith taught, "Friendship is one of the grand fundamental principles of 'Mormonism'; [it is designed] to revolutionize and civilize the world . . . and men to become friends and brothers . . . Let us pour forth love-show forth our kindness unto all mankind, and the Lord will reward us with everlasting increase" (Teachings of the Prophet Joseph Smith, p. 316). As members of the Lord's Church, we must strive to continue the "revolution" of the Prophet Joseph until Zion has truly been established upon the earth. The power behind this "revolution" is the pure love of Christ. The teachings in the New Testament book of James are timely for our day if we desire to establish Zion. The truth taught within its few short chapters can be summed up in these few words, "If ye fulfil the royal law according to the scripture, Thou shalt love thy neighbor as thyself, ye do well. But if ye have respect to persons, ye commit sin" (James 2:8-9). Keep trying. Love our Heavenly Parents. Love our Savior. Try to be like Him---Christlike. Love and Unity---Zion will be well worth the effort. Older Post“I must preach . . . unto this people, and declare the word . . . which is in Christ” (Enos 1:26).